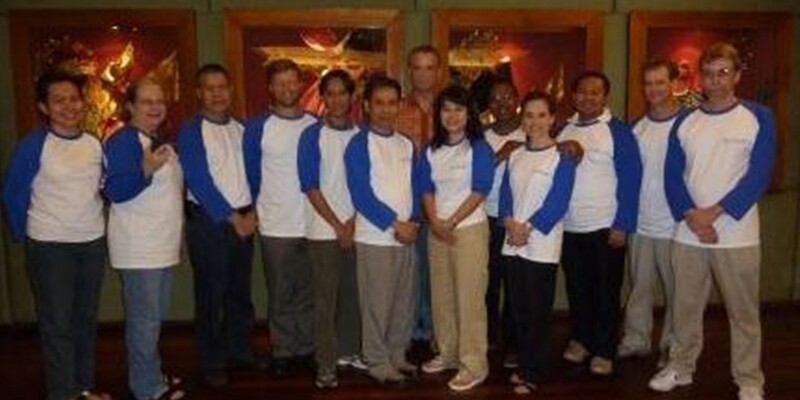 3rd Sumba Spirit Annual Meeting was held on 28-29 May 2012 at Maya Ubud, Bali. Bill & Melinda Gates Foundation (Gates Foundation), as the main stakeholder in the Sumba Spirit project, represented by Dr. Kathryn Aultman, was keen to see the outcome of the Spatial Repellant (SR) Intervention study produced by the study team, lead by Dr. Syafruddin of Eijkman Institute for Molecular Biology. The SPIRIT Sumba team had produced a result from unblinded code mosquito coils which was comparable once the codes were revealed. The objective of the SR Intervention study was to demonstrate that the SR could reduce the malaria attack rate in human population. As the result showed a promising outcome of the use in mosquitoes repellants coils in controliing Malarial infections in humans, and to get more positive result; Gates Foundation with SCJohnson as the sponsoring partner in this study have agreed to sponsor a second SR Intervention trial with another support on the coils from SCJohnson. The next SR Intervention study activity is expected to be conducted at fourth quarter of 2012.